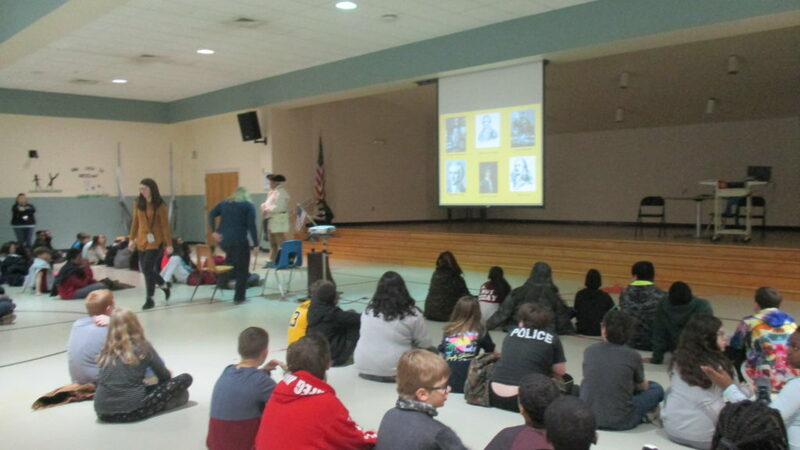 Ken Wilson, a member of the Halifax Resolves Chapter of the NC Sons of the American Revolution, recently visited the 5th grade students at Belmont ES to present the SAR Americanism Poster contest for 2019. The topic will be a Patriot from the Revolutionary War. Wilson explained that the individual they picked could be someone who fought in the war or someone who supported the war.